ST. GEORGE — A group of five people mostly from Las Vegas were arrested Saturday after allegedly stealing a significant amount of items from stores in St. George. The four women and one man were traveling in a rental vehicle from Las Vegas that was carrying stolen alcohol from Nevada, St. George Police officer Tiffany Atkin said. 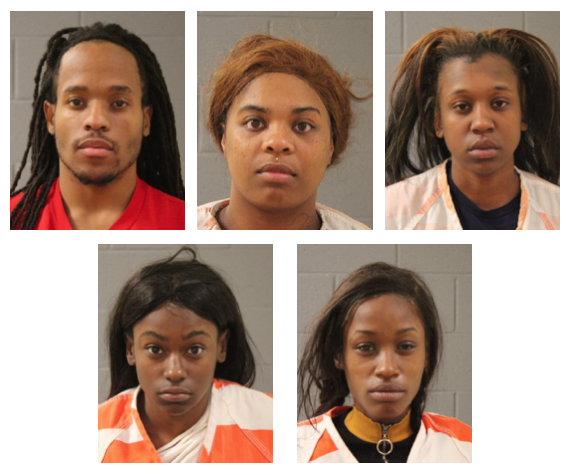 Keith Wesley, Brianna Shannon, Kassion Wesley and Tarontisha Davis, all from Las Vegas, and Imani Stark, of Seattle, were the five out-of-towners accused of significant retail theft in St. George. Several people were calling 911 about the suspects stealing items from a number of stores at the Red Cliffs Mall, Atkin said. The group had a tool with the capabilities of removing anti-theft security tags from clothing at stores. As police started looking for the suspects, the case also received help from another police agency. 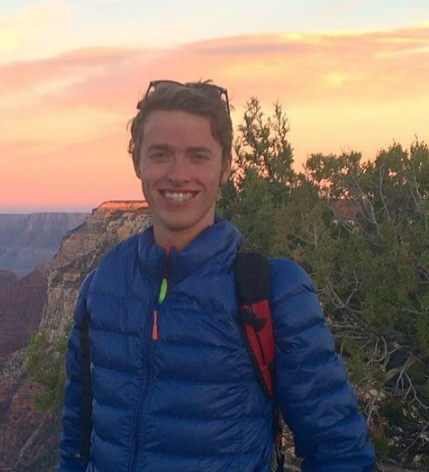 Because police officers were speaking about the group of suspects over the radio, Atkin said a campus police officer from the Dixie State University Department of Public Safety was able to locate the group at the Starbucks shop at River Road. Officers found synthetic marijuana and drug paraphernalia in the group’s possession. They also found a finance card that didn’t belong to anyone in the group and multiple ID documents of other people, Atkin said. All five suspects were booked into the Purgatory Correctional Facility and charged with retail theft over $1,500, possessing a detection device for retail theft, possessing spice, possessing drug paraphernalia, possessing a lost finance card, possessing multiple ID documents that didn’t belong to them and illegally transporting alcohol. They were also all charged with conspiracy because they all allegedly committed the crimes together, Atkin said. All of the suspects are still in custody at the time of this report. This was the second group of people traveling in a rental vehicle from outside Utah who were arrested Saturday in St. George. A group of three suspects from California, who were slapped with multiple charges for drugs and forgery, were booked into the jail about two hours before the group in this case from Las Vegas and Seattle were booked. Good job by our police! Thank you for the job well done. More victims of the racist oppressive white patriarchy? I suppose these schemes are dreamt up after a good spice smoking session. Absolute genius. The punishment needs to be more than just a fine. Until the punishment is greater than the reward for theft this will continue. ACLU will probably complain about their treatment but who cares. Al Sharpton shouldn’t be allowed to say anything till he makes a good effort on his taxes. Garnish him at 90%! Their charges and bail are all a bit different but in each case, stiffer than the usual perp. They are running about 20-25K in bail each, meaning it would take about 2-2.5K each, or about ten thousand cash to bail the entire group. Say his name: TEN THOUSAND DOLLARS … BUH BYE! Especially ANYONE with a hand, neck or facial tattoo. Such as the one guy had in the other batch from CA they caught. Typically those guys dont have jobs and make money via “other means”… I think too, time of day. If working age people come shopping looking a tad unkempt during working hours, I bet that’s a tip off.